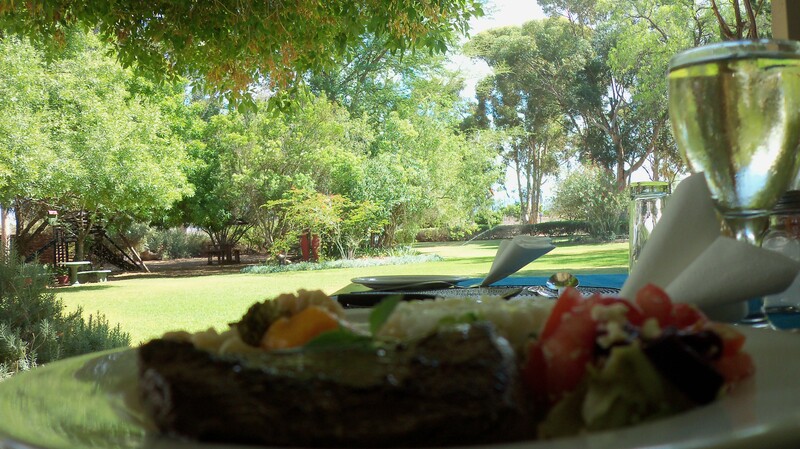 The outside area and garden is a great way to enjoy your meal. 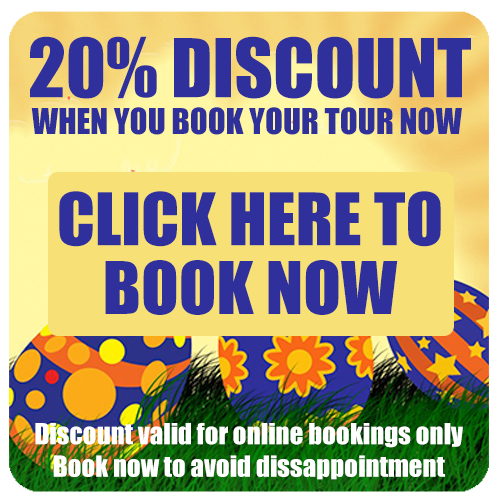 Make an online booking and enjoy a 20% discount. 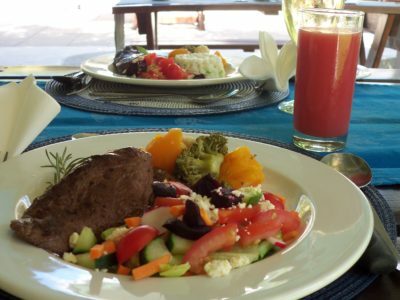 Restaurant hours are 10h00 until 15h00. Choose from one of our set menus enjoy export grade fillet or steak at discounted prices. 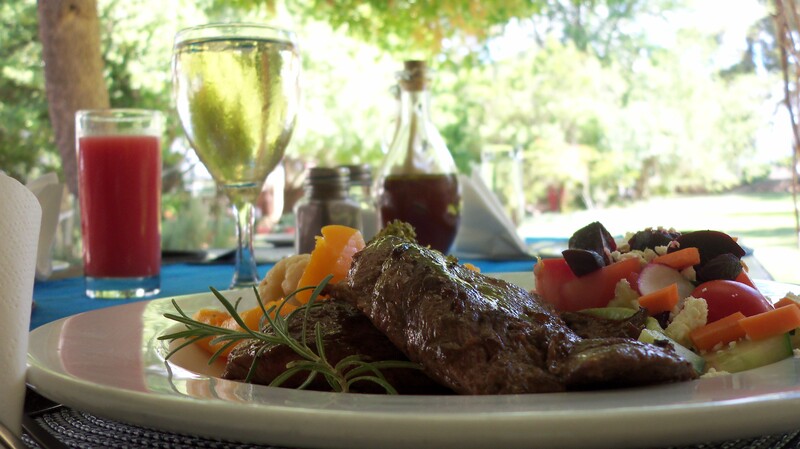 Our delicious fillets and steaks are served with warm Karoo hospitality and friendly smiles. 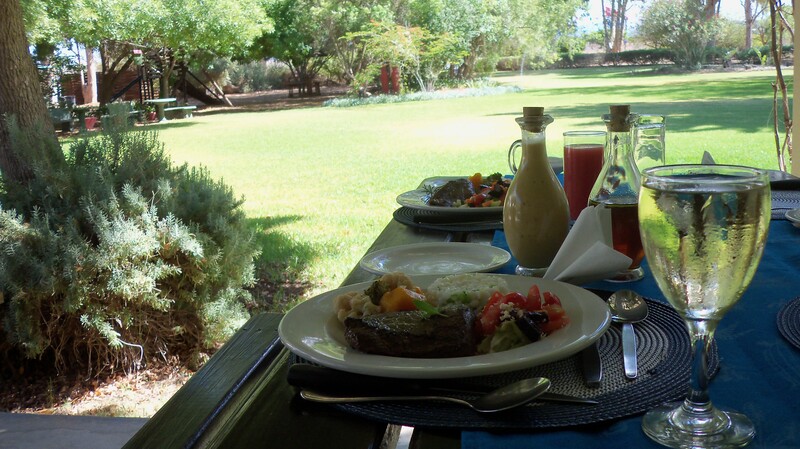 Come and enjoy good value, great food and meet the great people of Safari Ostrich Farm. 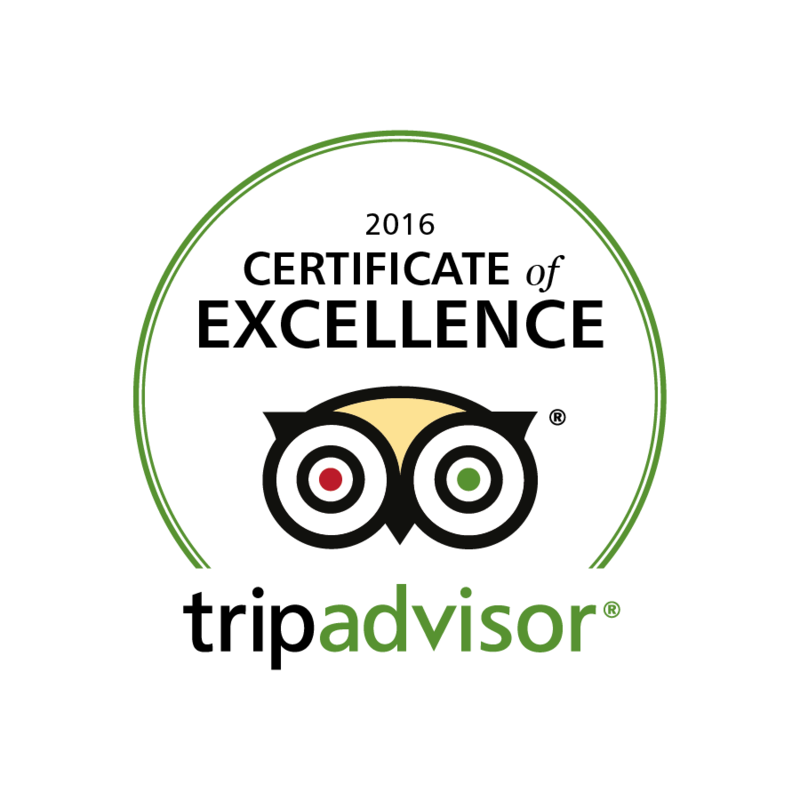 We do also cater for special dietary requirements if arranged in advance. 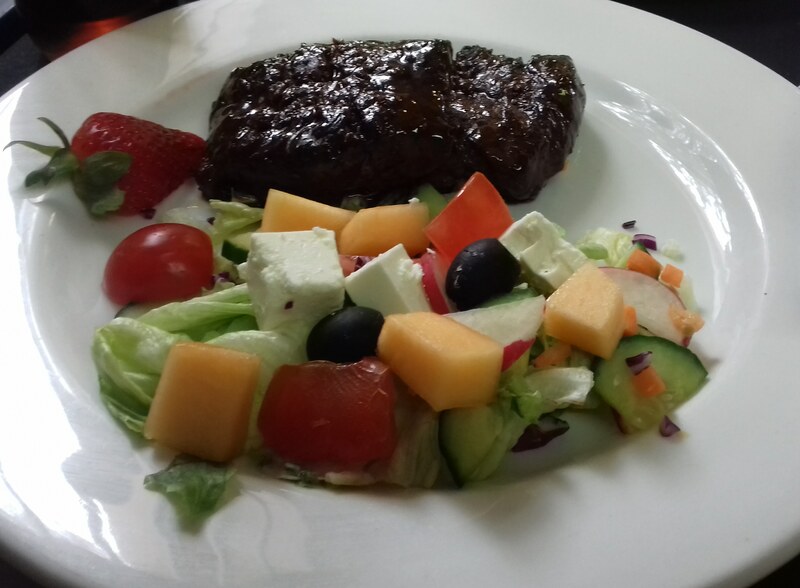 We are also able to assist with Vegetarian options should you require. 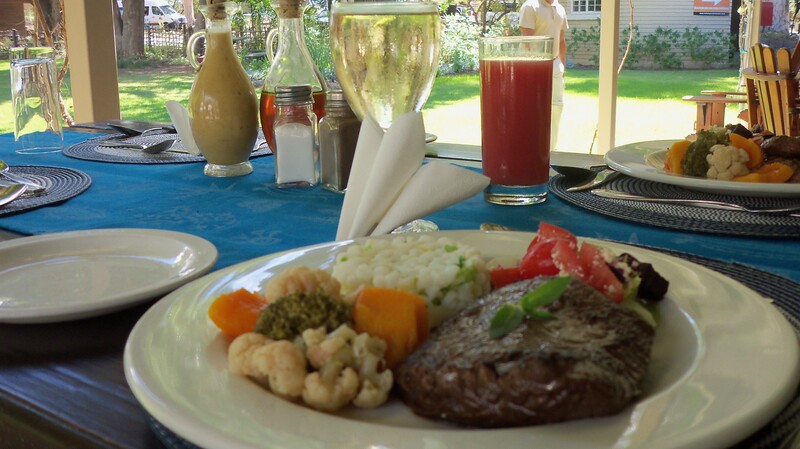 Email us in advance so that we can offer a vegetarian alternative for you..
We have an wide selection of locally produced wines, craft and regular beers as well as soft drinks and mineral waters available.